Safety Tips for Driving in Flash Floods in Florida | Gonzalez & Cartwright, P.A. Surprisingly, flash flooding is a top cause of weather-related deaths in Florida. Over half of flash flood deaths in the United States involve motor vehicle accidents. Data obtained from the National Flood Insurance Program revealed that Florida ranked third among all states for the highest amount of losses related to flooding. With increasingly erratic weather patterns in recent years, it is important for all drivers in Florida to know some basic safety tips for driving in these types of weather events. Flash floods strike suddenly, so drivers rarely have much time to prepare for this type of event. According to the Federal Emergency Management Agency (FEMA), most flood-related fatalities occur because people attempt to drive through deadly waters rather than waiting or avoiding them. Only drive under these conditions when it is absolutely necessary for your survival or your family’s survival. 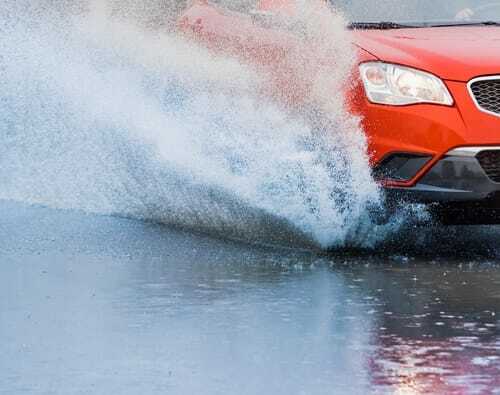 Flash flooding greatly increases your chances of being involved in a car accident, and you should always use extreme caution when weather conditions are not ideal. Most importantly, pay attention to makeshift barricades, stop signs, or posted warnings. Don’t drive through standing water where it can be avoided – because your vehicle can easily be swept off the road. Even worse, your engine may completely stall and cause irreparable damage. If you must drive through water, then go slowly and steadily. Never drive near fallen power or electrical lines and watch for items floating in the current. If you do get stuck, then abandon your vehicle for higher ground. If you have been involved in a car accident during a flash flood, then contact the experienced personal injury attorneys at Gonzalez and Cartwright, P.A. 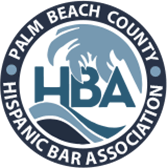 Our legal team represents victims of car crashes, truck accidents, motorcycle accidents, and other types of motor vehicle accidents in West Palm Beach, Lake Worth, Fort Lauderdale, and Pompano Beach, Florida. Call (561) 533-0345 or email us to schedule a free consultation about your case. We have an office conveniently located near West Palm Beach at 813 Lucerne Avenue, Lake Worth, FL 33460, in addition to an office in Pompano Beach, Florida. 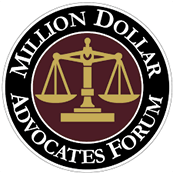 What if My Florida Accident Injuries Don’t Show Up Right Away? What Are the Most Common Florida Vehicle Accident Injuries That People Get?